The Jam at Neptune Beach is a two-day street festival held at the beach in Alameda just in time for Father’s Day with live music on three stages, carnival rides, a food truck pavilion, beer, wine and more. The Jam is an Alameda Father’s Day tradition and a chance for the whole family to let their hair down and dance in the streets. The Jam at Neptune Beach is a two-day street festival that for over a decade has been a chance for Alamedans to let their hair down and dance in the streets of the West End. 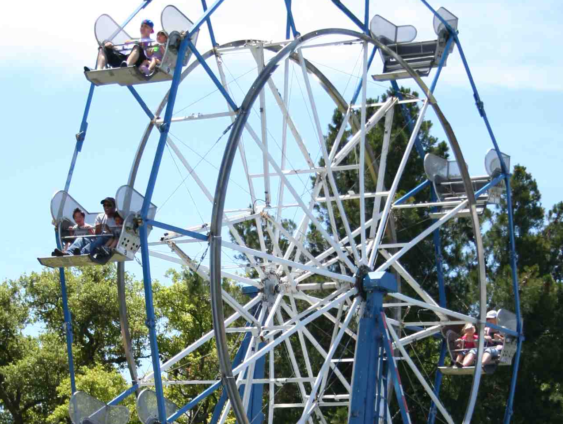 The carnival atmosphere complete with rides, cotton candy, activities for kids and the Food Truck Pavilion promises to make this event the best Father’s Day Weekend Dad could ever imagine. On both days, you can shop at over 50 arts and crafts booths. Located on Webster Street, between Pacific Avenue and Central Avenues. Enjoy free, secure bike parking at the US Bank parking lot, on Webster Street near Taylor Avenue.